Is AMP The Future Of Web Design? Accelerated mobile pages offer quick page load speeds for mobile users. Learn how AMP is the latest example of search focussing on the mobile landscape. 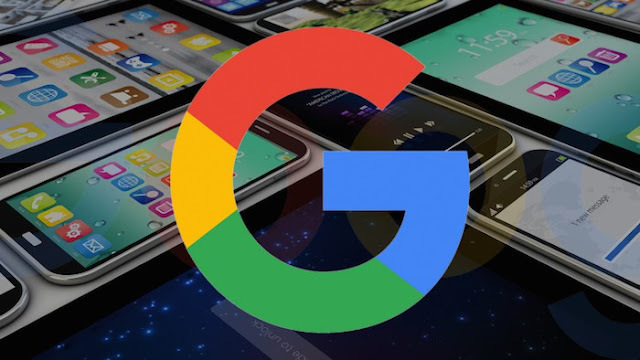 Google began to roll out Accelerated Mobile Pages (AMP) for news-related items in February. These AMP pages are a lightweight version of a standard HTML page which are written using stripped-down code. The ultimate aim of AMP is that pages are quick to load on mobile devices which helps to provide users with a positive and engaging experience. Mobile users are known to be impatient and reports from Google state that 40% of mobile users will abandon a web page that takes more than three seconds to load. A solution was created by Google in the form of the open source AMP project which has seen collaboration from a wide variety of social media platforms, analytics tool provider and ad providers. There has been a huge shift towards the mobile search landscape in recent times. As the number of Google searches surpassed the number of desktop searches in 2015, the future focus of search is centred largely on the mobile audience. Web design is adapting towards this mobile emphasis and uses technology that concentrates on improving performance by enhancing speed whilst using less mobile bandwidth. This is crucial as although many parts of the globe enjoy larger mobile data packages and faster mobile speeds, there are still many regions in the world, including areas of the UK where coverage is poor. Unfortunately, lack of surfing speed has contributed to a rise in ad blocking software. This is particularly true in Europe where an average of 77 million Internet users employ an ad-blocking software in order to enhance their browsing activity. Ads slow down the page load speed of websites, particularly on mobile devices. Google understands that the obliteration of ads from mobile web pages is not an option for publishers and marketers who depend on the type of revenue stream that advertising provides. Therefore they have partnered with over twenty ad tech vendors so that AMP will still be able to serve most types of advertising. In this way the future of web design still includes essential advertising components which will retain the current business model of the web. Richard Gingras, Head of News at Google talks about the ‘significant secondary impact’ that negative page load speeds have on the mobile user. Publishers must understand the direction that the search engines are heading towards, so that they are able to still do well in search. AMP has been created as a web design solution to the problem, so it is essential that publishers create their own AMP pages which are likely to be given priority in search. AMP stage 2 is likely to be rolled out to business websites in the near future, so it would be wise to consider your AMP web design as a priority. For now, the most simple and cost-effective way to create these mobile-friendly pages is to visit the AMP Project page for advice and code validation. If you use Wordpress, then plugins are available to easily build AMP versions of each page on your site. Looking to the future, web design is likely to include out-of-the-box themes that are already integrated with AMP. Google are naturally excited about their AMP launch and have released a series of AMP Office Hours discussions with senior names from their organisation. The popularity of the webcasts has led to French, Italian, German, Spanish, Brazilian Portuguese, Russian, Japanese, and Indonesian versions being made available so that many more people are able to learn about the benefits of AMP in their own language. Check out the Office Hours list to learn more about the future of AMP today.